Written and directed by Farkhat Sharipov of Kazakhstan, “The Secret of a Leader” screened its world premiere Oct. 6 at the Busan International Film Festival. There it competes in a field of nine for the newly created Kim Jiseok Award, honoring the director who passed away last year and remembering his passion to discover new talent across Asian cinema. 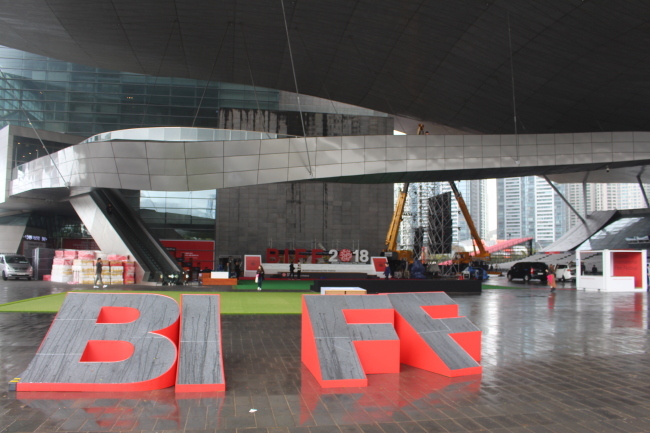 In its 23rd year, the Busan film fest has grown to take on many roles, and it takes its responsibility of being the “single representative event” for Asian film seriously, such as with its Window on Asian Cinema section. This year that window has cracked open a little more on Central Asia, with a dozen of the 324 films at the festival coming from that former Soviet region. “The Secret of a Leader” is no sunny portrait of Kazakhstan. It shows the moderate, majority-Muslim, former Soviet republic in a state of flux and soul searching. The script was originally based on a self-help book popular in Kazakhstan and Russia, but strayed far from that material. Now the film takes its name from the motivational leadership-building workshop whose opening seminar begins and final session ends the movie. Stuck in the midlevels of a big bank in Almaty, main character Kanat’s life changes between the seminars upon his initial run-in and subsequent meetings with old classmate Danika. The self-assured Danika plays the role of “fairy godfather” to Kanat. The bigwig goes from reminiscing on their drunken school days to dragging Kanat into his lascivious world of corporate power and to alcohol-fueled karaoke sessions with women half their age whose time is being paid for. The contrasts in the lives Kanat leads -- at the office, at home where he stays with his ailing mother, as a semi-estranged father and husband and in the late nights with Danika -- betray the uncertainty in his life. Through Kanat, cinemagoers sees a society becoming slave to its burgeoning capitalism, or a free market being corrupted by Soviet cronyism. On what drives him as a filmmaker, “The priority is to be understood by my audience,” he said, particularly “the audience that speaks the same language as I do.” And while there are no set plans yet, the director says showing the film in Kazakhstan and Russian-speaking countries is very important to him. The final scheduled screening of “The Secret of a Leader” at BIFF has been set for the Busan Cinema Center on Friday at 4 p.m. Two winners of the Kim Jiseok Award will receive prizes of $10,000 and be shown in encore presentations Saturday.